SMART GADGETS Smartphons Asus Zenfone Lite L1 Full Review: Best Budget smartphone in 6000 Rs. Asus Zenfone Lite L1 Full Review: Best Budget smartphone in 6000 Rs. Hello friends, every single company is making better mobile phones, and for this, they are giving better battery life in the phone as well as better camera, display, RAM, processor in smartphones. But here is a factor which we do not normally get to see in all the phones. He is! Price, today's phones have better features but their prices are much higher than the budget of most people. Thus, buying a phone is not easy for everyone, and if you are currently searching Best Smartphone within under 7,000 rupees then you can have Asus Zenfone Lite L1 phone value for money product. If we go to buy any product, we want that we get the best product in the lowest possible money and if you are similarly searching smartphone in low price. With a great display, Snapdragon processor and batter battery, the Asus Zenfone Lite L1 smartphone can be right for you. In the Phone we get the 5.45inch HD display with 18: 9 aspect ratio. Which is a good screen for an Under 7000 smartphone. Speaking of Asus Zenfone Lite L1 processor, it has a Qualcomm Snapdragon 430 octa core processor. Which will help to give a long battery life to the phone. If this is a low budget phone, so we will not see it in the dual rear or front camera. The phone has 13MP back camera and 5MP front camera will be available and together with both the camera we will also see the flash light. Phone is launched with 2GB of RAM and 16GB internal storage, and if we need more storage, then we can increase the storage via SD card. 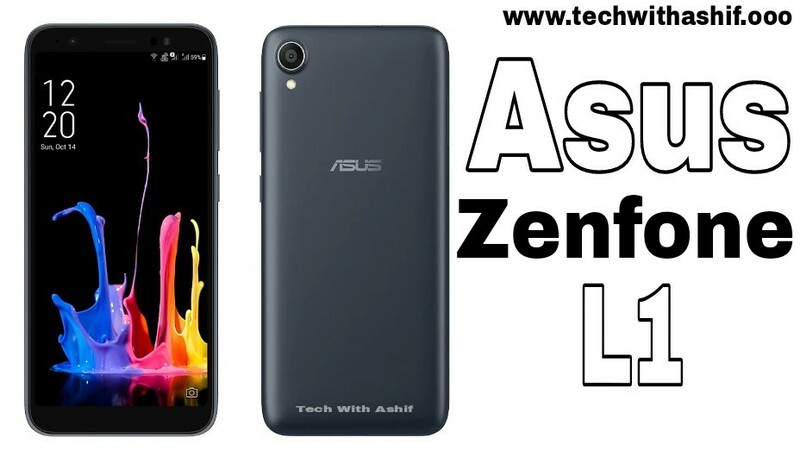 Asus Zenfone Lite L1 will get 3000mAh battery and along with Android Oreo Operating system will help to give the phone a better performance. If we talk about Asus Zenfone Lite L1 phone price, then its orginal price is Rs. 6,999. But this is only the special offer on Flipkart, Rs. Rs 5,999. How can you buy it with a special offer? This is explained below. After looking at Asus Zenfone Lite L1 specification and price, it must have been understood that this is a low budget average performance phone and it is not that such a phone has not been launched earlier. Xiaomi has already launched the low budget smartphone. But in this phone we will be able to see better features which we can see in very few phones with low prices. Assus Zenfone Lite L1 Phone has 13MP back camera which is not available to see us in Phone of under 7000 rupees. Together we also get the Snapdragon processor in the phone. Phone front camera xiaomi Mi A1 is equal to the front camera of the smartphone but if both phones are compared to the price, then Asus Zenfone Lite L1 is much cheaper than Mi A1. Asus Zenfone Lite L1 smartphone is a phone that gives us a better feature in lower price and better in its battery performance according to its RAM, processor and display. In this case, if you want to buy Low Budget smartphone, then this is a better option for you and it has started Sale at Flipkart. You can buy from the link below. Friends, Asus Zenfone Lite L1 is a low budget phone in which we get a Better processor and camera feature. Yes, it is necessary that we do not get the Notch display and dual camera but this phone has all the features which is perfect for its price and you can buy it as a Value of money product.